Scientists at the Utopian National Institute for Science and Development are excited about their latest invention – the universal lens. Results from test subjects are promising and initial trials by volunteers have also bolstered the sense of optimism that pervades the institute. ‘This is great, it can change the world’ says Dr Calvin, ‘this is one small step for man and a giant step for beauty pageants’. Apparently the universal lens is a new lens which works like a filter on the eyes. Just like sunglasses filter UV rays, the Universal Lens filters color rays reflected from the epidermis of human subjects. What this means is that a person who wears these lenses will not be able to distinguish the skin color of people. ‘Of course, this is not the panacea for all the ills that plague our society’ says Mr. Hobbes, the President of the Utopian States ‘but it is a beginning, and it has the potential to change the way we see the world’. Sociologists at the Utopian National University said that this could lead to further rifts in Utopian society – leading to groups of lens wearers and non wearers. ‘This would result in a classical selection bias issue, as those who opt to wear these lenses are likely to be the ones who need it the least’ were the wise words of Professor Watterson. Radical left wing groups such as the InHumans (International Humane Society) have asked for legislation making it compulsory for all law officials – i.e. 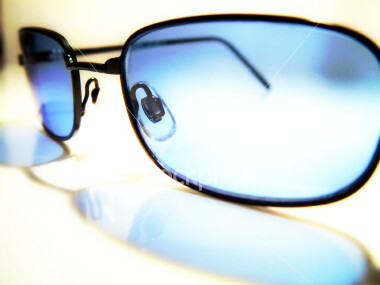 policemen, judges, juror etc to wear such lenses. They are also campaigning for such lenses to be compulsory at all recruitment interactions in the public and private sectors. Dollywood Studio authorities have refused to comment on whether beauty pageant jurors and reality show contestants would make use of these lenses. Previous Post Would you like us to repeat your order?